When my friend and one of my favorite photographers Lauren Weissler said she wanted to collaborate on a bridal shoot for her portfolio, I said, “meh, no thanks.” HA! Just kidding! I said heck yes, and I have a beautiful couple who would be perfect! Putting together styled shoots is exhausting. But when they come out like this, it’s worth every second of planning, pulling together outfits, hauling them around and the general franticness (is that a word?) of chasing the golden hour. Lately, I’ve been pretty blasé about styled shoots. Yes, they’re beautiful, but when they’re styled they sometimes tend to lack the presence and soul of something that is caught candidly. That’s why I knew I had to have David and Alexandra as our subjects. They’re not two models posing together for a photo. They are a young couple who has survived more trials and tribulations than most mature couples, and because of it, they still look at each other with hearts in their eyes. The Wises live just down the road from me and are great friends. I met them when I knocked on their door one day to see if they would let me do a photo shoot in the creepy, awesome deserted barn behind their house. Alexandra not only granted us permission, but she also offered to help us carry our gear. It was instantly apparent that she is as beautiful on the inside as the outside—and ever so humble as well. They came over to dinner at our house one night, and after feeling like he was skirting the topic a bit, we pointedly asked David what he did. He casually responded, “I’m a professional skiier.” After quite a bit of prying he admitted that he wasn’t just any pro skiier, he was the 2014 Olympics Ski Halfpipe Gold Medalist. And now, of course, he is a 2-time Olympic Gold Medalist after his win in PyeongChang (a down-to-the-last-run performance that almost gave us all a panic attack might I add…) and the only man to win the event. When I say that they have been through many trials and tribulations as a young couple, you must realize that being an Olympic gold medalist or being married to one is no cake walk. Aside from all of the glory of standing atop a podium, there are many sacrifices this family must make. Alexandra often spends long periods of time wrangling two rambunctious but absolutely adorable kids (Hi, Nayeli and Malachi!) by herself while he is away training and competing, and being away from a family that you adore for that amount of time must be very difficult as well. 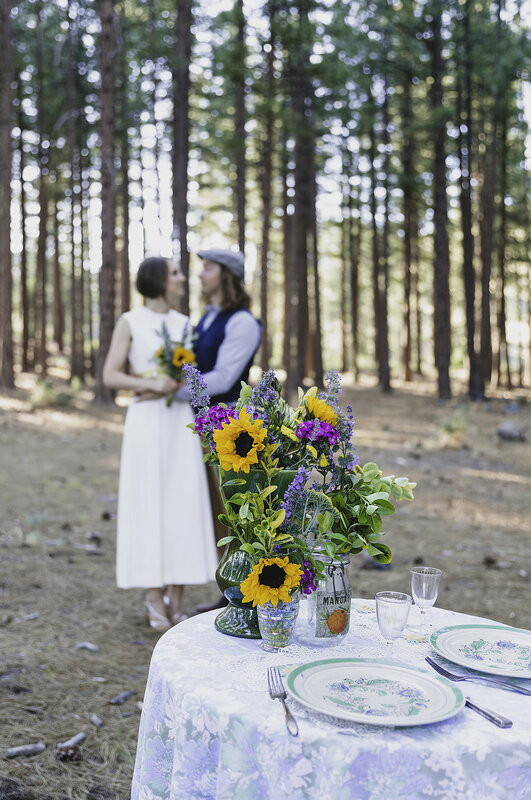 Anyway, to bring it full circle, shortly after we met, they put together this super creative video as a wedding vow renewal, and I had the pleasure of lending a vintage Nest wedding dress for the occasion. I thought it very fitting to now have them on my turf for this wedding-inspired photo shoot. 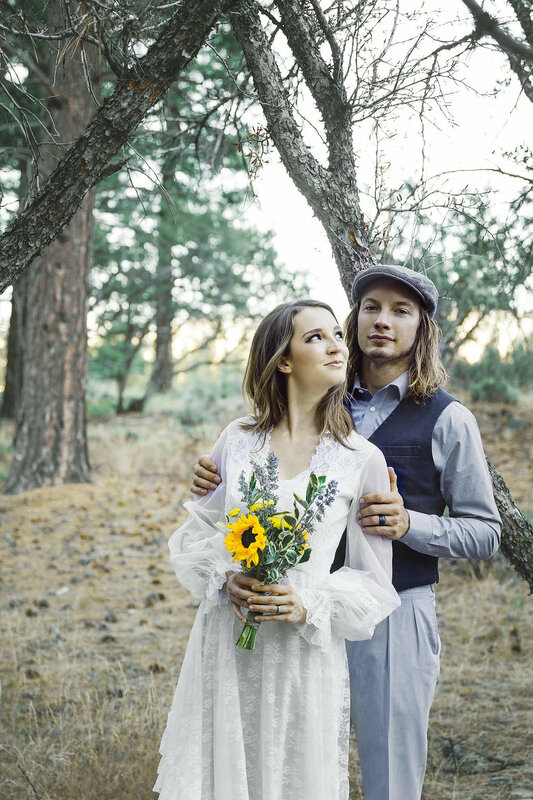 So here they are gallivanting around our ol’ stomping grounds of Verdi, smooching under grand pines with the golden hour sun filtering through. We switched up locations and wedding dresses, but the same lovey dovey look in their eyes for one another remained. 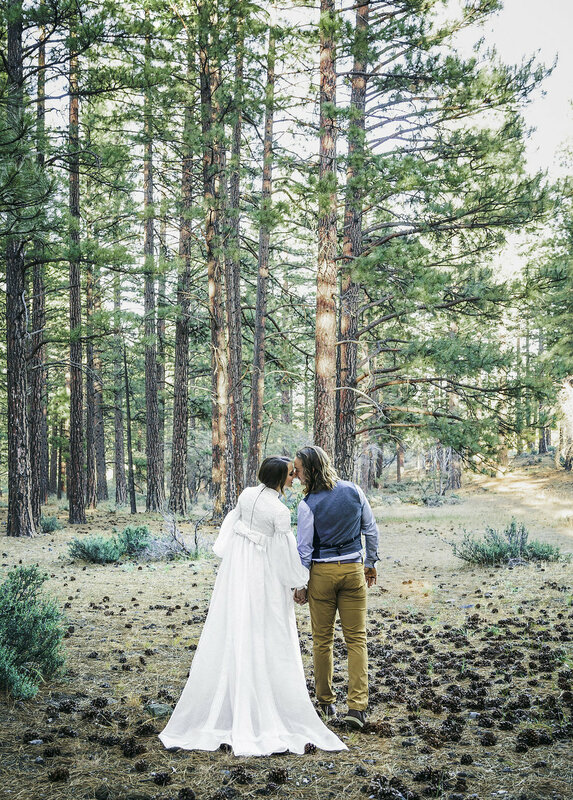 Read more about David and Alexandra’s journey, their wise-beyond-their-years musings on love and marriage as well as their wedding renewal vows here.